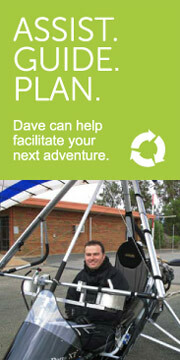 On the 1st March 2016, Dave with the help of a dedicated support team will attempt to paddle down the Murray River in his modified kayak from Lake Hume to the sea. It will be a gruelling 2225 km’s testing his mental and physical limits. 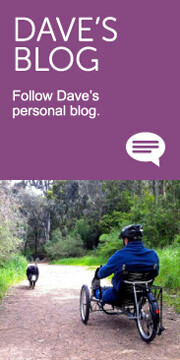 Follow Dave on Facebook and his blog as they live this adventure. Stay tuned! To highlight that we all have the ability to unlock the true potential of the human spirit. To experience a once in a lifetime adventure, attempting a world first. To discover the people and their stories along the Murray River and share our message. Fatigue – Dave will paddle six hours per day between 4 – 6 days in a row, then a rest day. Due to Dave’s disability, excessive fatigue will be a constant issue. Additional rest days may need to be taken increasing the likelihood of not being able to complete the expedition in the time frame. Illness – with such a high and constant work load Dave will be susceptible to illness such as urinary tract infections that could immobilise him and delay progress. Temperature – the biggest challenge for Dave due to his inability to regulate his body temperature is the hot and cold temperatures. When the environment is cold he freezes and when it is hot he over heats. Accommodation – the team will be camping on the banks of the Murray. This will be difficult for Dave having on rely on the team for all accessibility. Weather – although the expedition is in autumn the most sable weather period, wind will be a significant challenge as he is limited with his strength to paddle against strong wind. Change in personnel – there will be a number of changeovers of personnel in the roles of Support Kayaker, Support Boat Driver and Carer, therefore a handover will be undertaken to ensure the role responsibilities are continued and learning’s are transferred to the next person. In addition logistics to transport each person on change over will require good communication and planning to get each person to remote locations. Support Team – Support Kayaker, Support Boat, Back-up Support Boat, Carer & Land Crew. Accommodation – camping in tents on the banks of the Murray River or caravan parks where possible. In November 2015 the team did a trial run from Barmah township to Echuca with only minor improvements needing to be made. It provided myself and the team a better understanding of the river and where potential exit points would be. The strategy of having the support boat and land crew worked well however they can’t leave more than an hour after I start paddling as I would beat them to the next stop location. The most important learning is that all team members need to get in and do what needs doing. The team did this which made the trial run a success.